‘A Method for Prayer’ is a classic Christian prayer book, from the Puritan writer Matthew Henry. 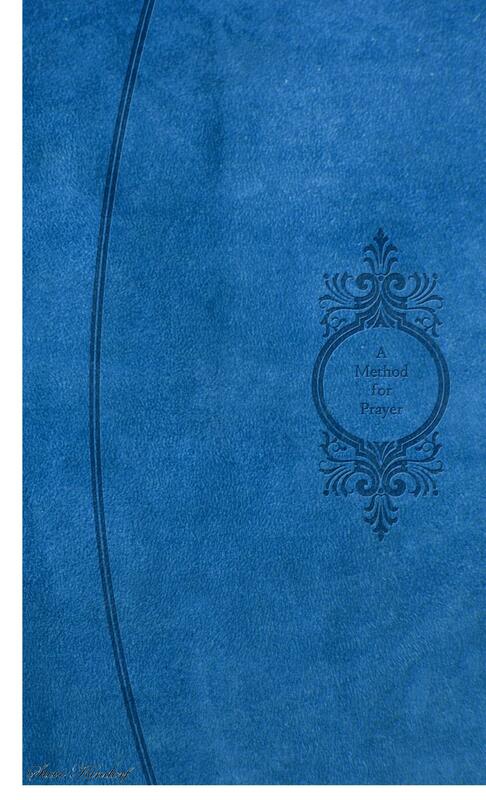 Click here to own your free personal copy of ‘A Method for Prayer’ by Matthew Henry in PDF format -with a fully active table of contents. A printed edition is at Lulu.com. A kindle edition is available here. It has been created for you to be alone with your Beloved, and is easy to use and read. This new Protestant edition is dedicated to the men and women of the Reformation. Based on the conviction of the Bible and Christ alone. Throughout the day, at special selected hours, set Him apart from the world as you pray the Psalms and words of worship and adoration, including ‘The Lord’s Prayer’ and ‘The Nicene Creed’ and ‘The Jesus Prayer’ and ‘The Trisagion Prayer’ and other hymns of the Christian faith. All the words of the Psalms are from the KJV Bible (Pure Cambridge Edition). All of the other prayers, poems and hymns have been reworded to fit the intent of this book. Two printed editions are here Lulu.com. A kindle edition is available here . Free King James Bible, click here ePub and mobi for kindle. ‘A Method for Prayer’ -the 1710 edition is the Puritan writer Matthew Henry‘s world renowned Christian classic. ‘A Method for Prayer’ is a Bible-based prayerbook, it was written as a Bible companion and reference for daily devotions. It is now newly transcribed from the 1710 originals, into a classic prayer-book format with wide margins, and with all the cross references from Matthew Henry’s original. With modernized spelling and all of the nine divisions of the book; 1-Adoration of God, 2-Confession of Sin, 3-Petitions and Requests, 4-Thanksgivings for Mercy, 5-Intercession for Others, 6-Occasional Addresses to God, 7-The Conclusion of Prayer, 8-A Paraphrase on the Lord’s Prayer, 9-Some forms of Prayer. With added devotional prayers and Bible study aids from the publisher/author of this new blue expanded edition. –Featuring a collection of 700 short devotional prayers, (with their biblical references) to the Godhead of Jesus Christ called ‘My Affection’ (that is, proclamations and praises of his many names, titles and attributes; being with you in worship and adoration before his throne, (Isaiah 6:1-3 & Revelation 4:1-11 & Revelation 19:5-7) as you think upon them throughout the day and meditate in the night watches; God has said in Philippians 4:8 & Psalm 63:6.) –A poetic setting of Psalm 119. –A Glossary containing 2400 words of the King James Bible. –An Introduction to My Affection by Dr. John Owen. –And a Daily Bible reading plan. This entry was posted in Free eBook for A Method for Prayer and tagged a hypertext book of hours, A Method for Prayer, A Paraphrase on the Lord's Prayer, Addresses to God upon particular occasions, Affection, Amazon, audio mp3, Authorized King James Version, Bible, Bible prayers, Bible Study, Biblical prayers, Christ, Christianity, compline, Conclusion of our Prayers, Confession of sin, Devotion, Devotional reading, E-book, Facebook, Free Bible reading plan, Free devotional, Free download, Free eBook, Free Glossary for the KJV, Free Prayer book, Free Prayers, God, Google+, Holy Spirit, hours of the cross, Intercession, Jesu, Jesus, Jesus Christ, KJV Bible, KJV dictionary, lauds, les tres riches heures, Login, Lord, Lord's Prayer, Lulu/stevekindorf, matins, Matthew Henry, Matthew Henry Commentary, Matthew Henry-1710 Edition-My Affection, medieval manuscripts, mp3, none, personal prayer book, Petitions and Requests, Prayer, Praying, prime, Psalm 119, Puritan, Puritan devotions, Puritan prayers, Puritan writer, Religion & Spirituality, Religion and Spirituality, Sola, Son of God, terce, Thanksgiving, The Book of Hours, The Book of Hours in English, the gospel reading, the litanies, the penitential psalms, Tools, Twitter, vespers. ← Gird your sword upon your thigh, O most mighty, with your glory and your majesty. Psalm 45:3; Isaiah 9:6; 2 Peter 1:16; Jude 25. Looks great. Thanks so much. A nice read in between various tasks at the computer. to take a look. I’m definitely enjoying the information. my followers! Outstanding blog and wonderful design. and also the rest of the website is also really good. net. I will recommend this blog! Way cool! Some extremely good points! I appreciate you writing this post plus the rest of the website is very gooԁ. post reminds me of my good old room mate! He always kept talking about this. good read. Thanks for sharing! this topic? I’d be very grateful if you could elaborate a little bit more. reading very informative articles or reviews at this place. give a quick shout out and say I truly enjoy reading through your articles. Howdy! This post couldn’t be written any better! He continually kept preaching about this. a great read. I appreciate you for sharing! thumbs up for your great information you’ve got right here on this post. if you knew where I could find a captcha plugin for my comment form? inside case you shield this hike. on this issue. Seriously.. thanks for starting this up. грамотный блог, но коллайдер все равно взорвется… Спасибо! У Вас часто замечательные посты! Прямо с утра поднимаете настроение. Thanks! I downloaded the book. I enjoy Matthew Henry’s commentary and I know I will like this book. Thanks for following our church website! Book and cover file for personal or bulk printing. Short audio clips from -A Paraphrase on the Lord's Prayer.